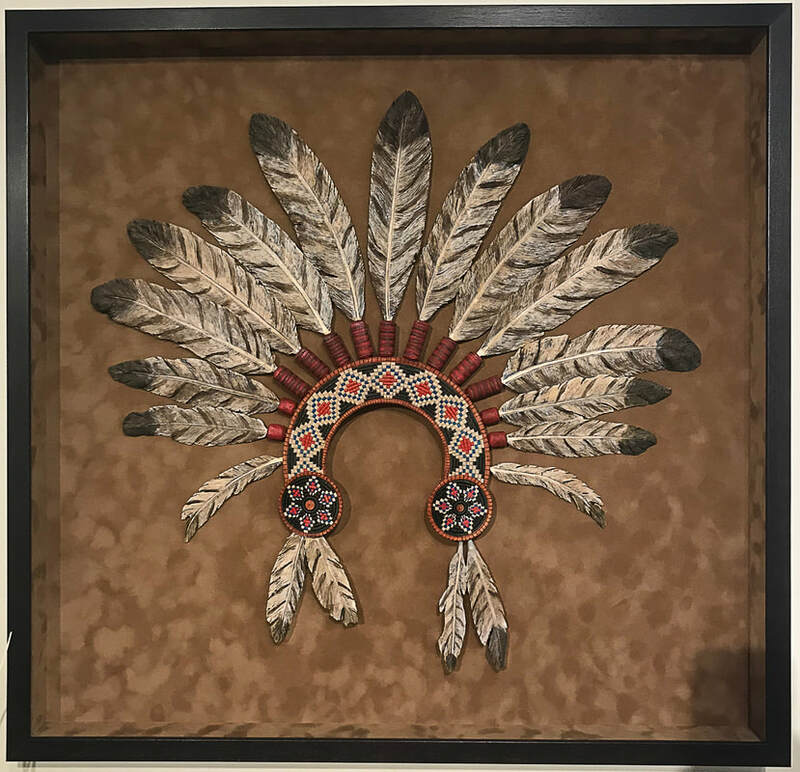 Introducing my series of Western inspired art...all out of wood. 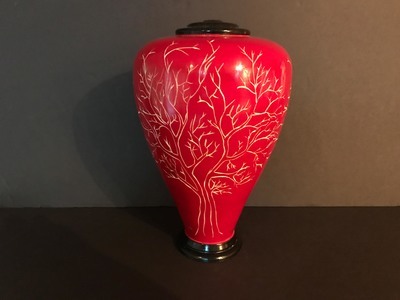 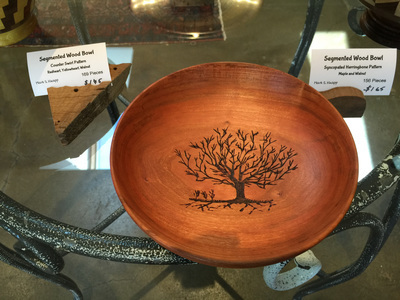 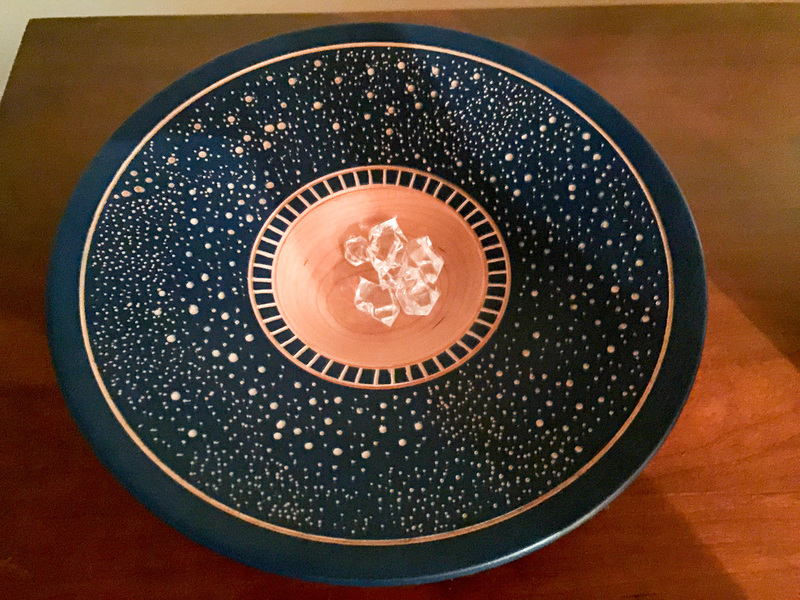 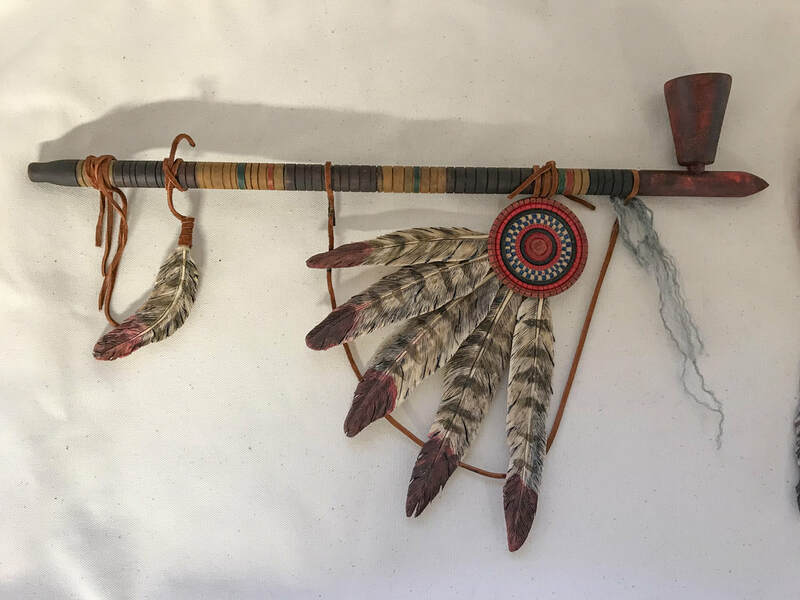 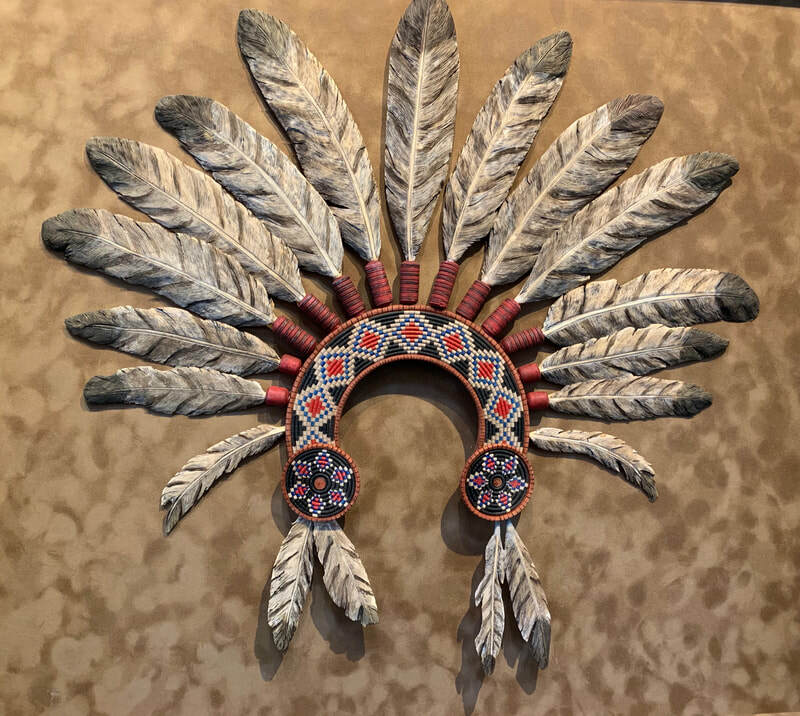 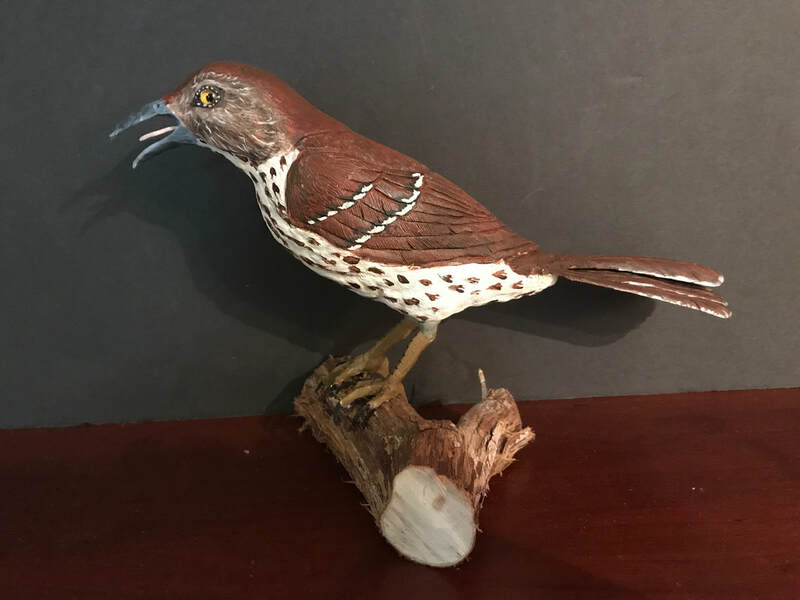 The feathers are carved from tupelo, then wood burned and painted. 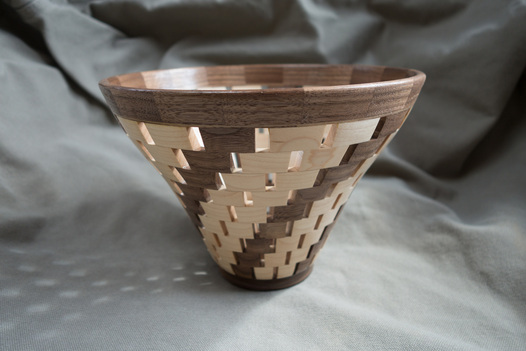 The headband is of maple in the "basket illusion" technique. Will be framed some day. 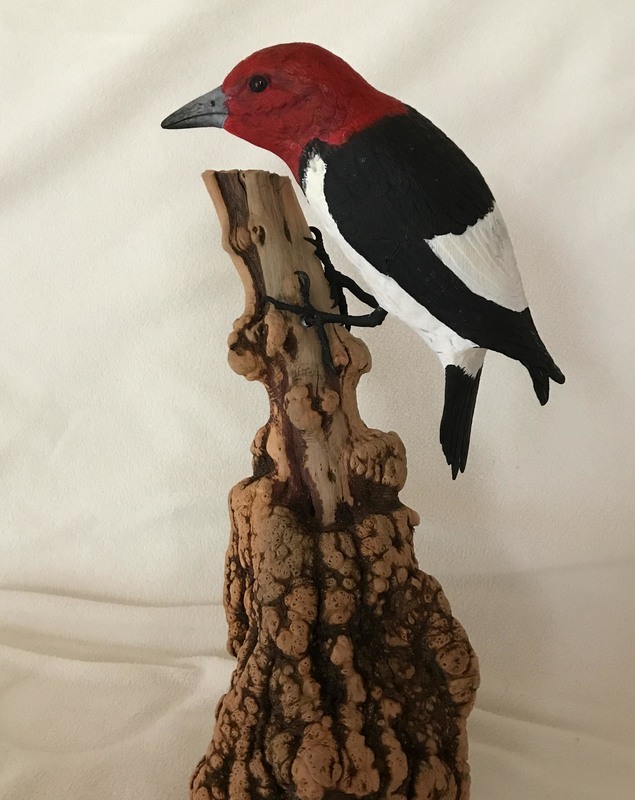 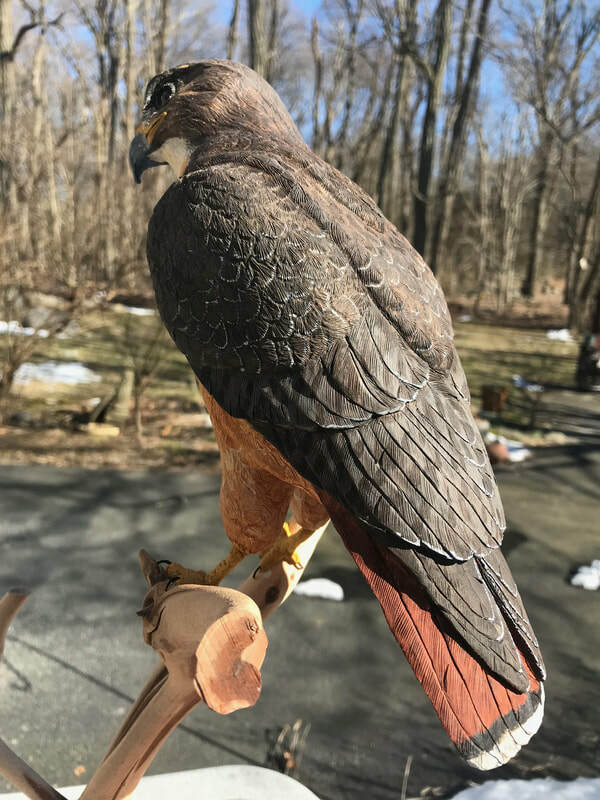 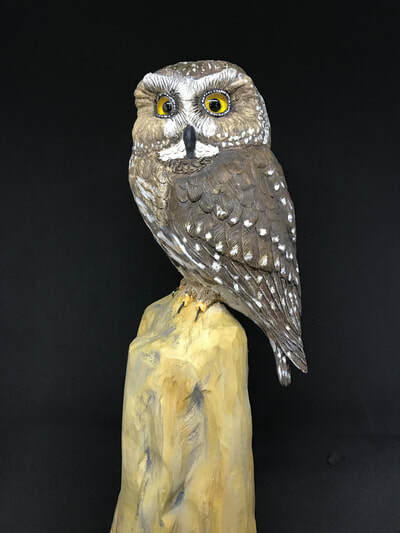 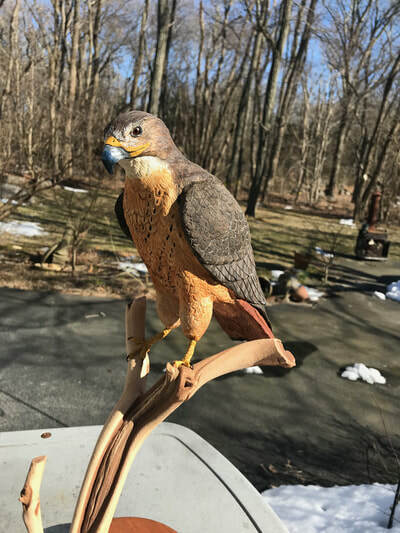 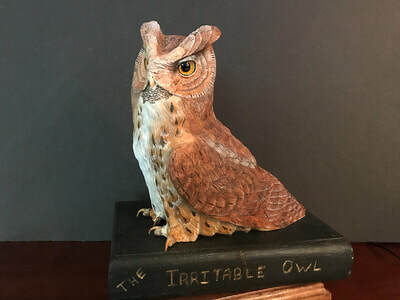 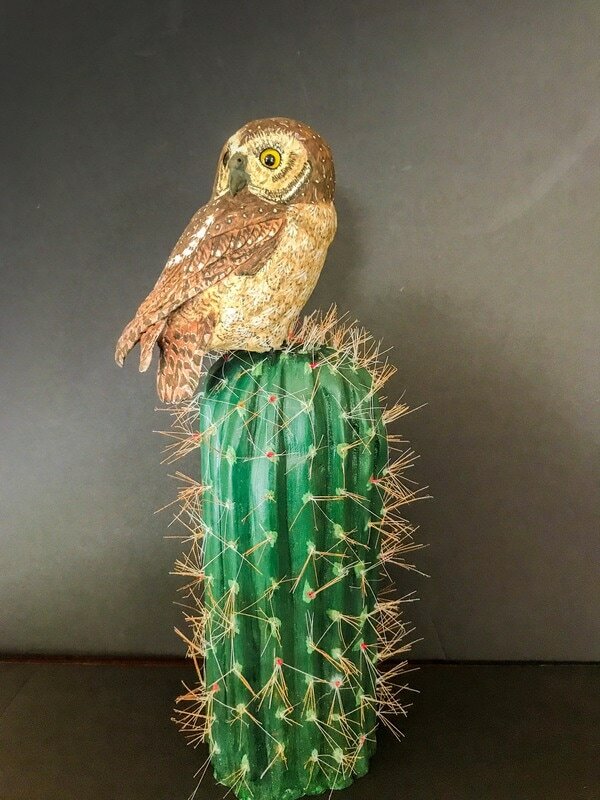 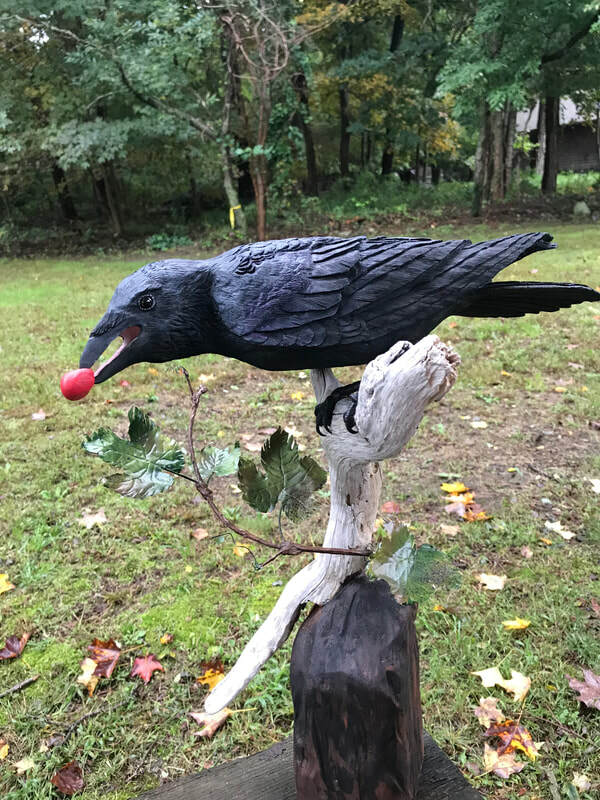 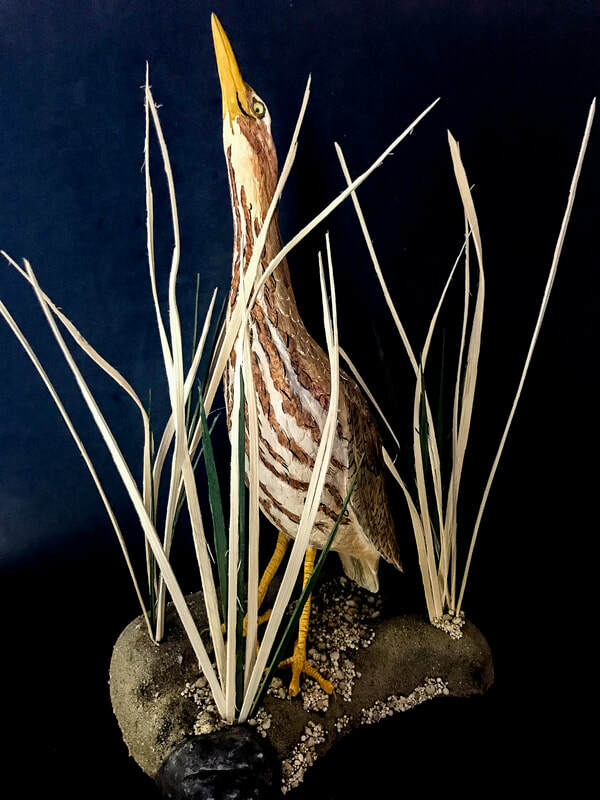 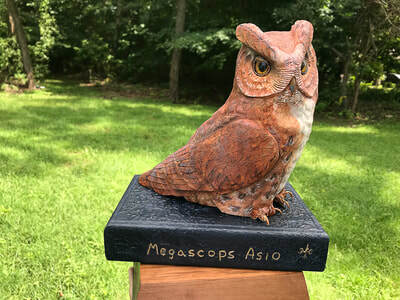 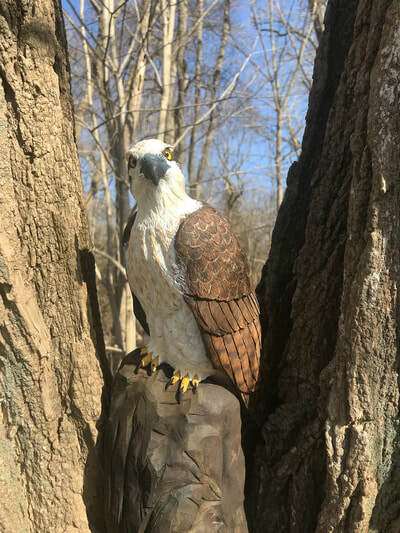 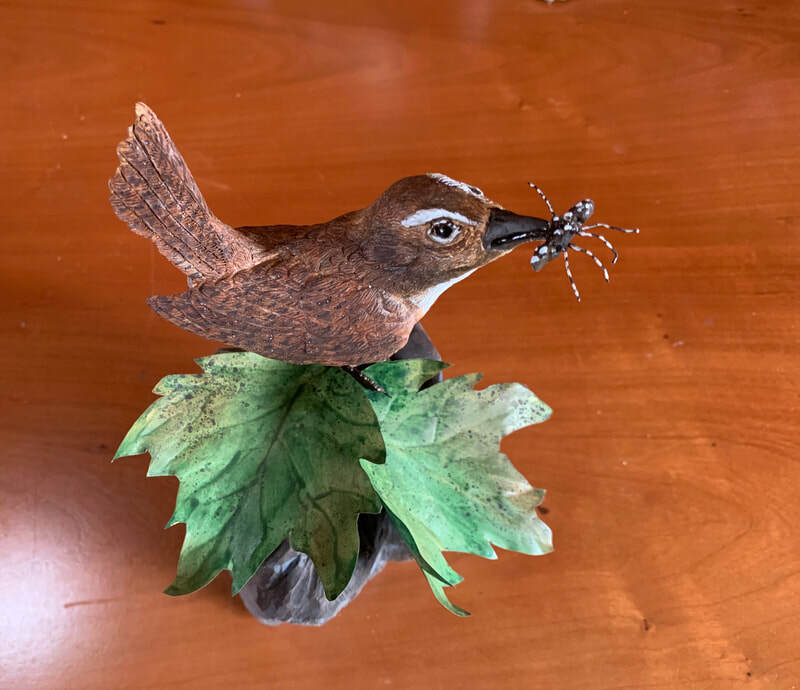 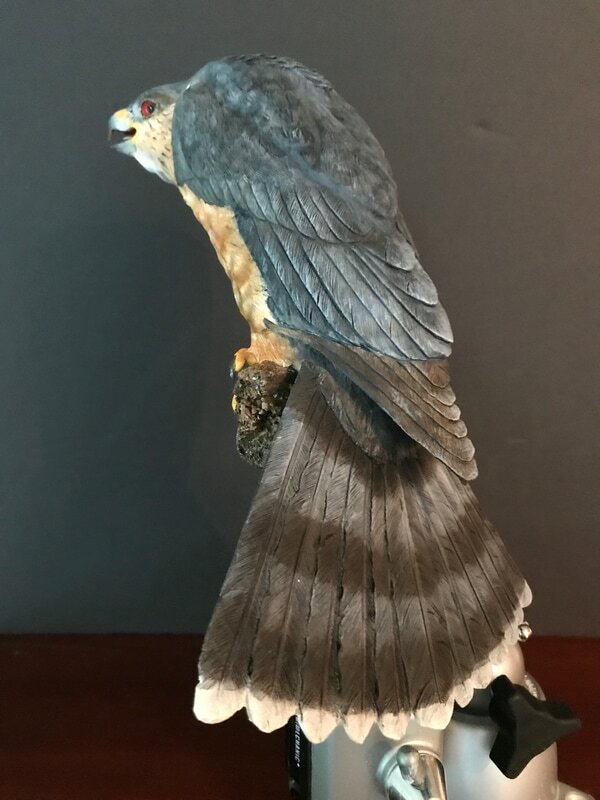 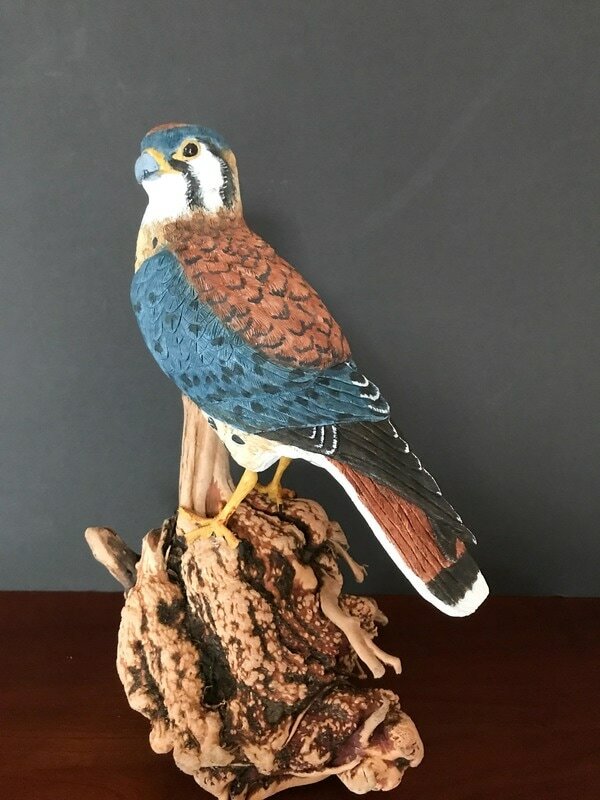 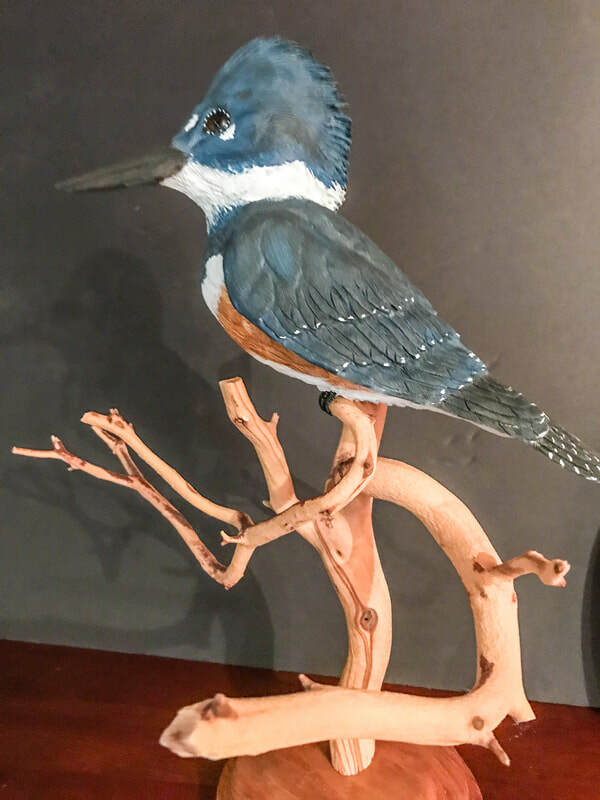 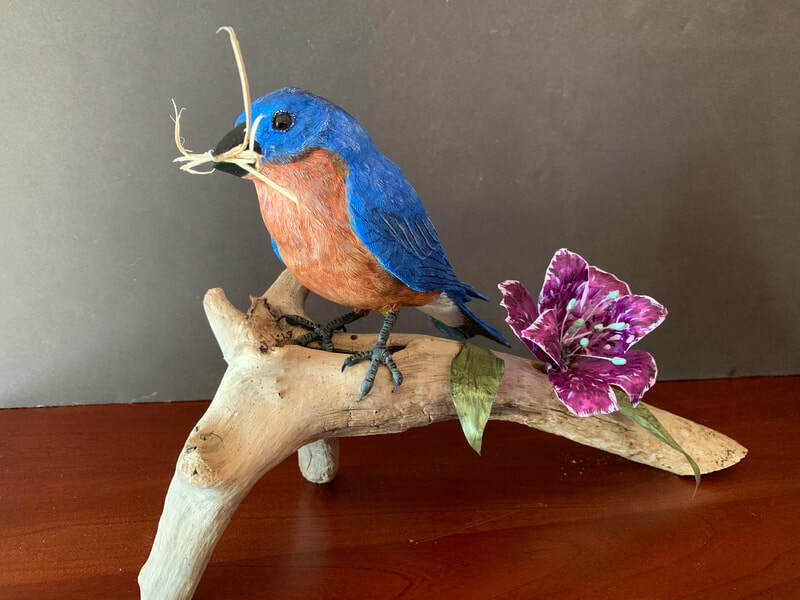 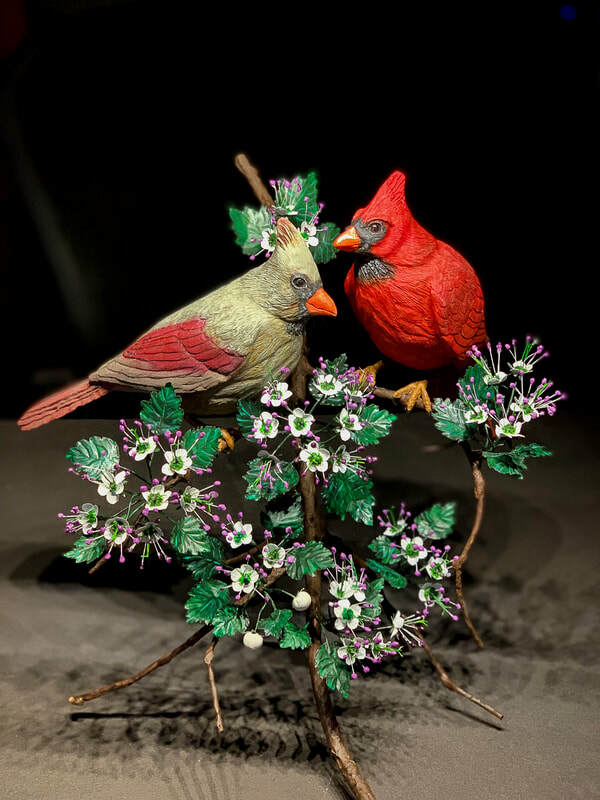 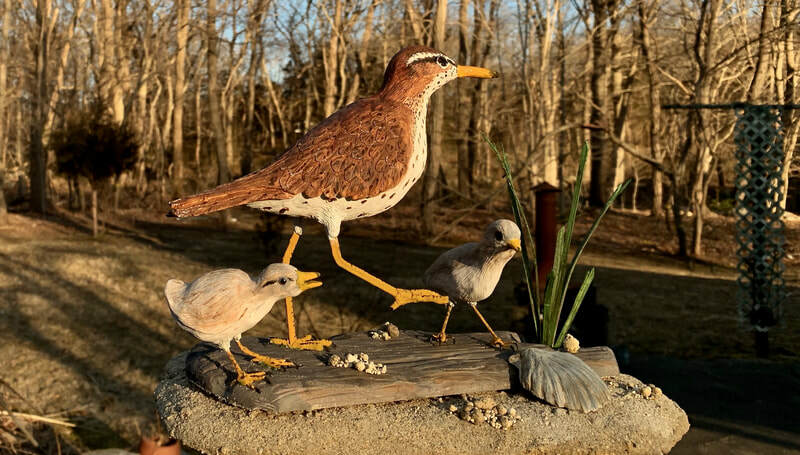 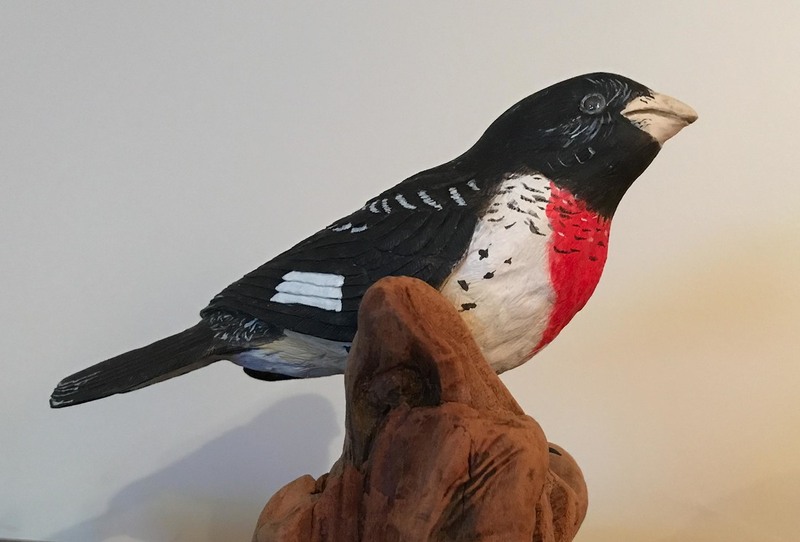 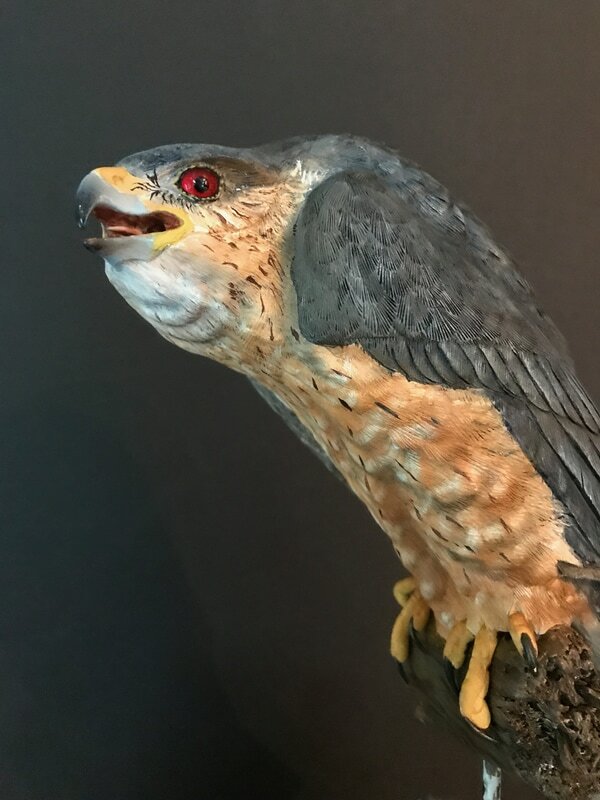 Bird carving is an amazing art form. 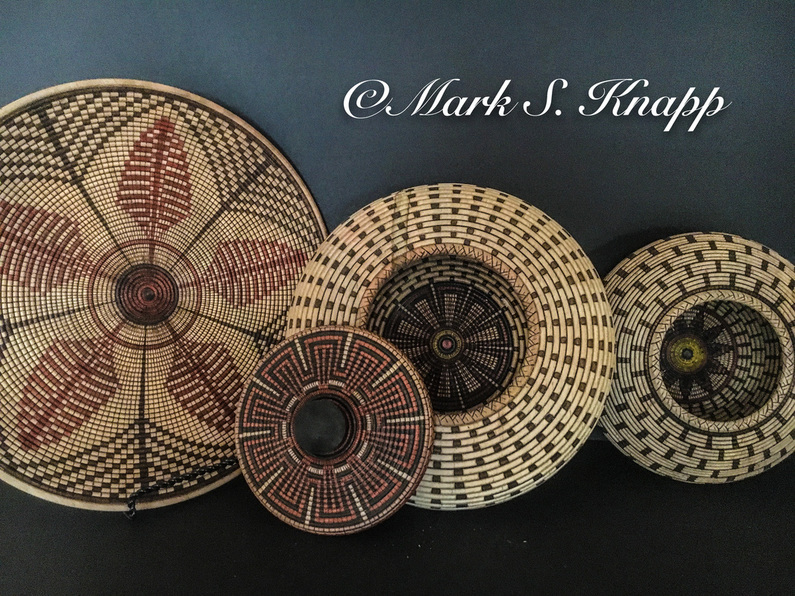 Here are some recent works. 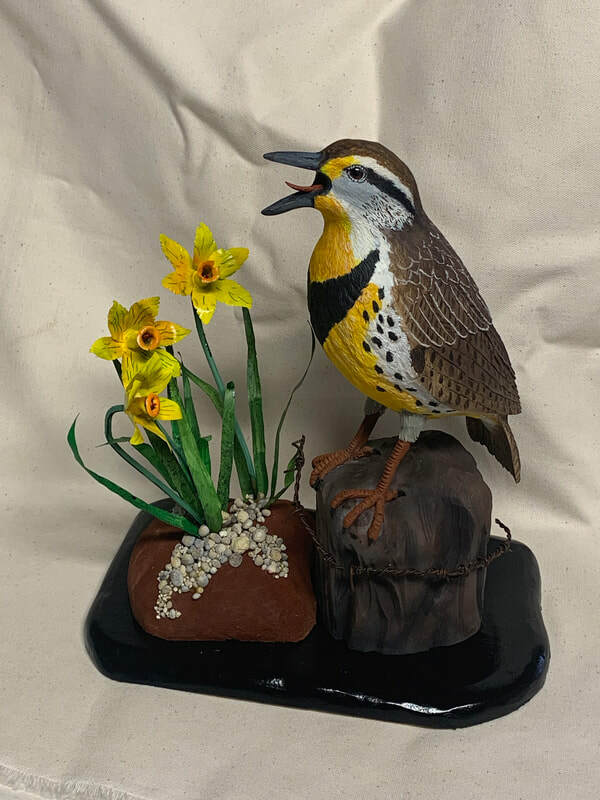 Eastern Meadowlark - "Singing to the Choir"
Northern Cardinal. 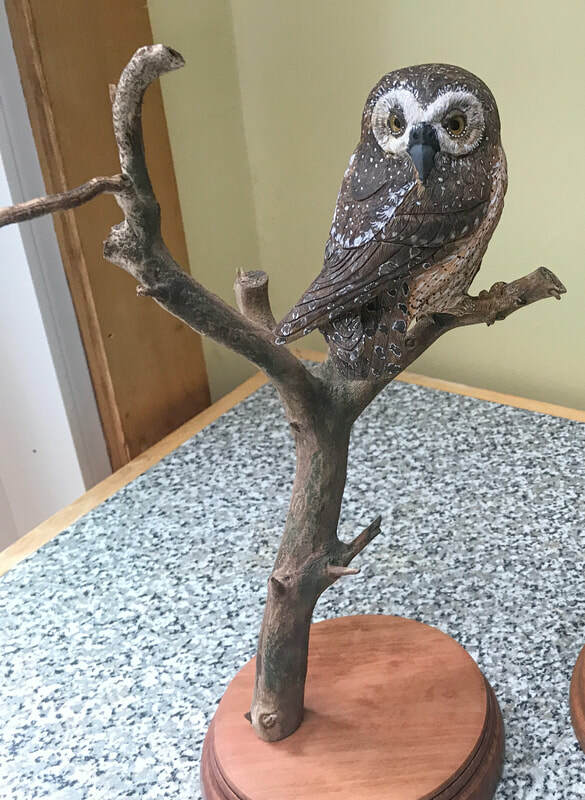 Hawthorn branch brass and copper. 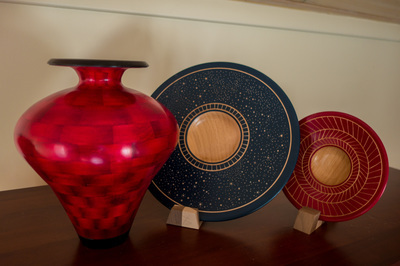 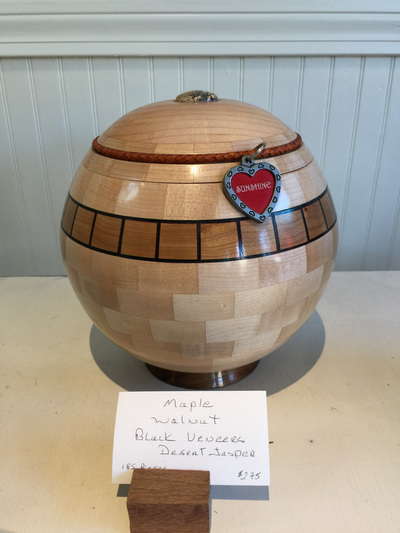 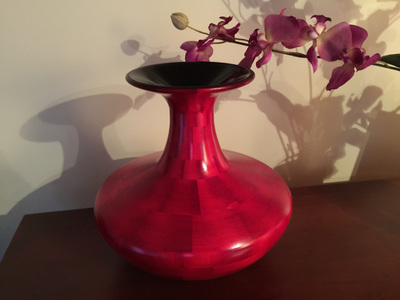 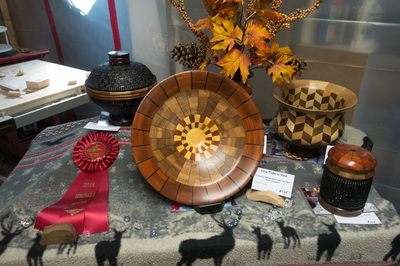 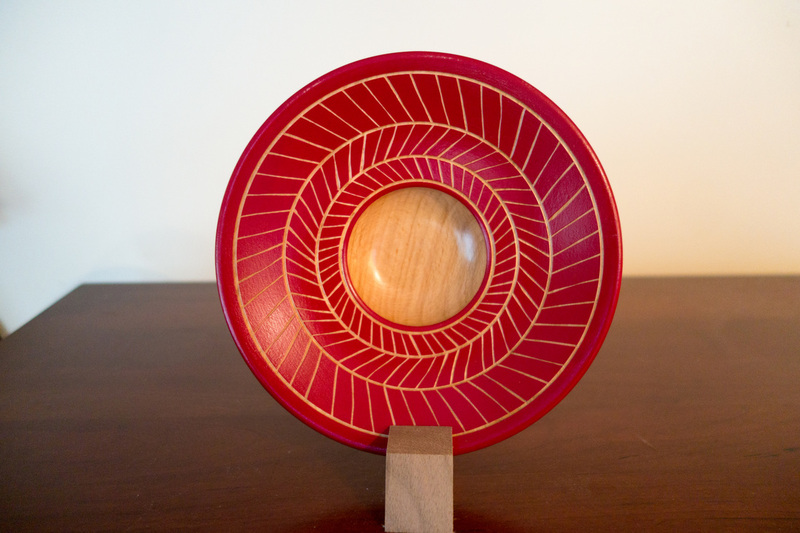 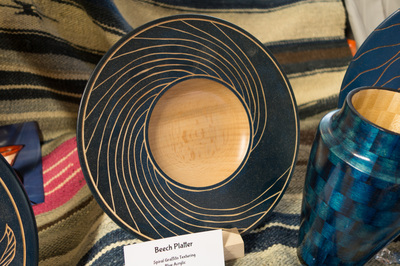 Segmented Maple and Dyes SOLD! 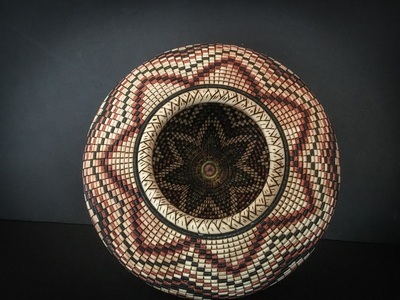 Honorable Mention, Spring Bull Gallery, Newport RI - SOLD! 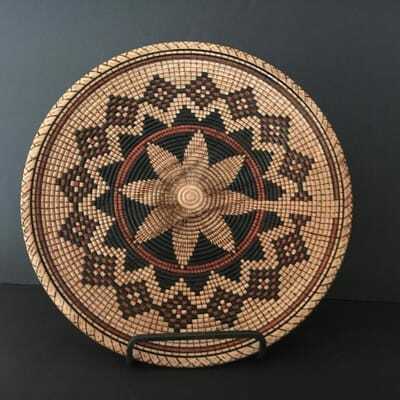 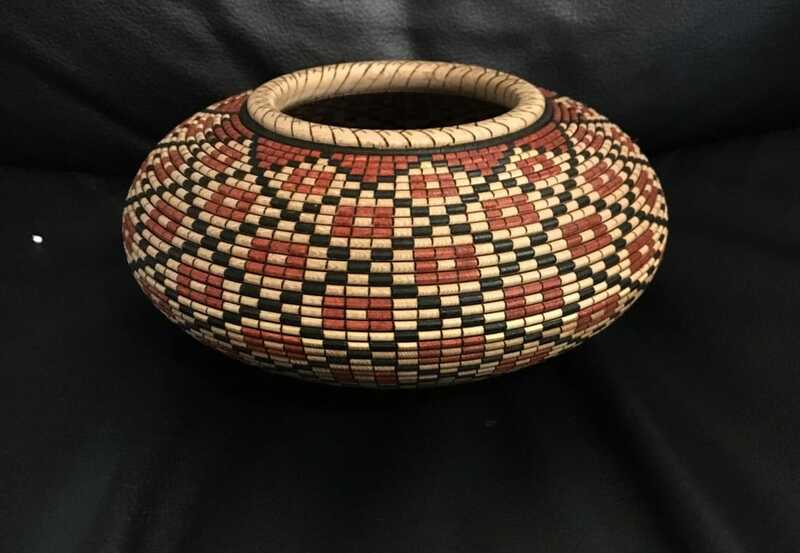 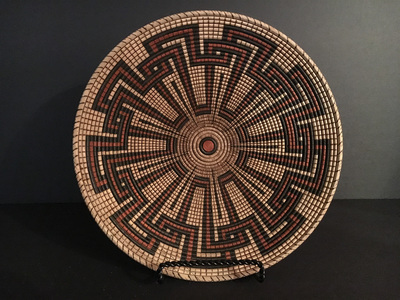 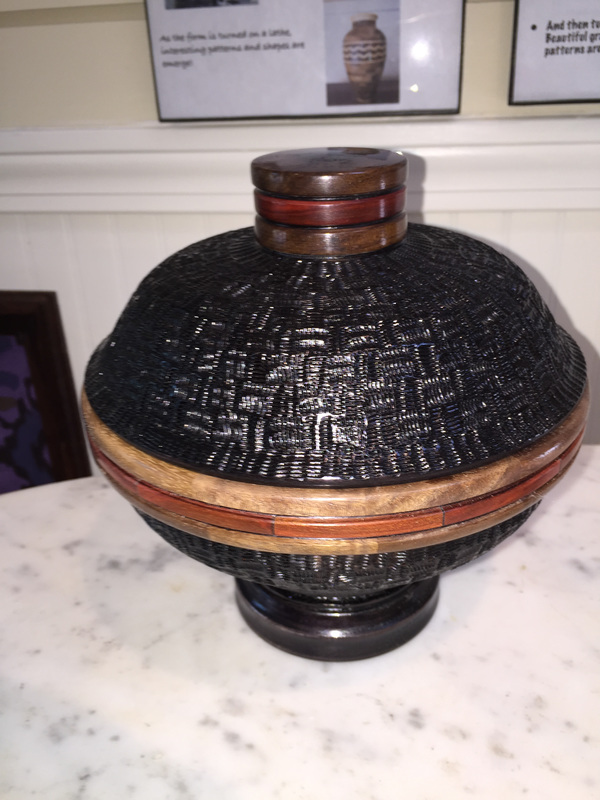 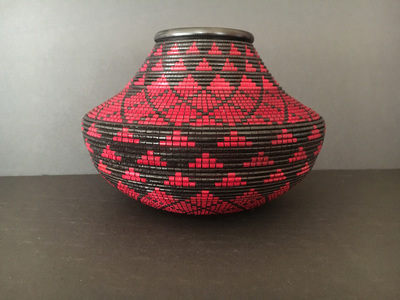 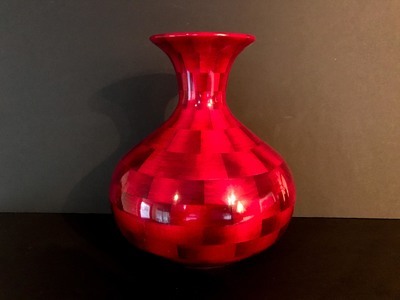 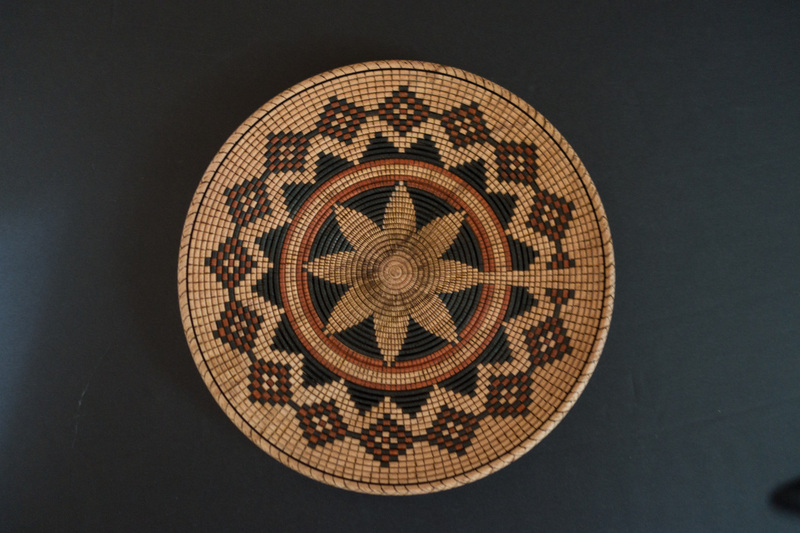 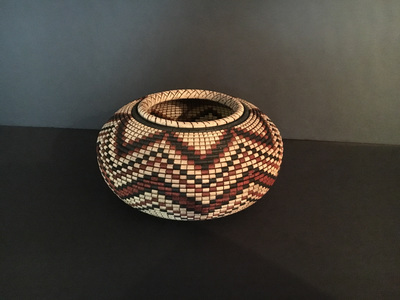 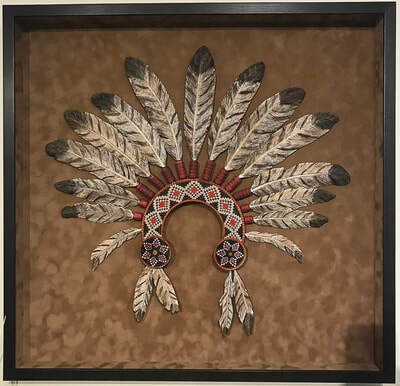 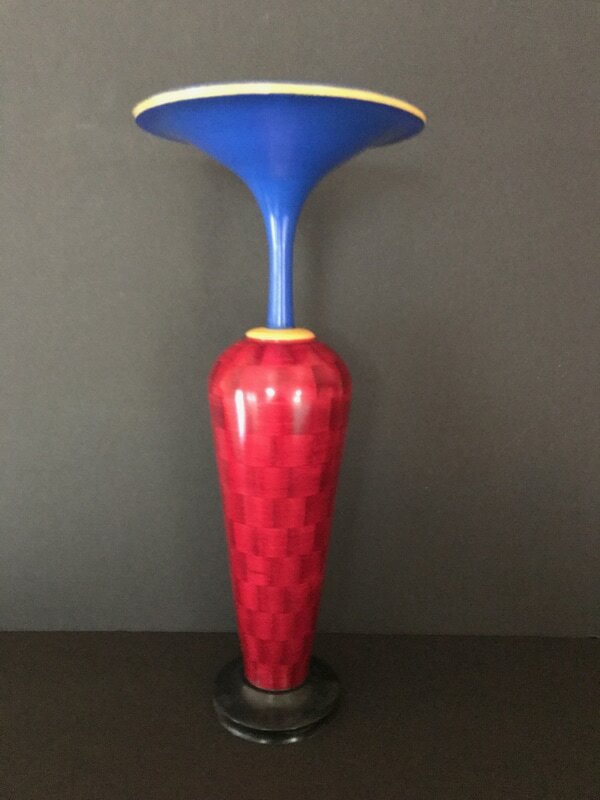 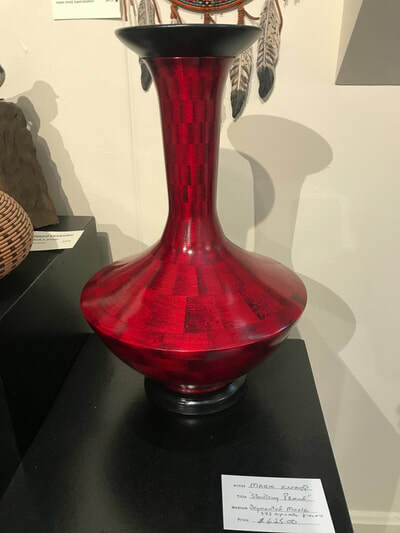 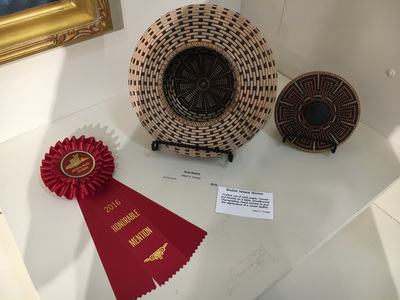 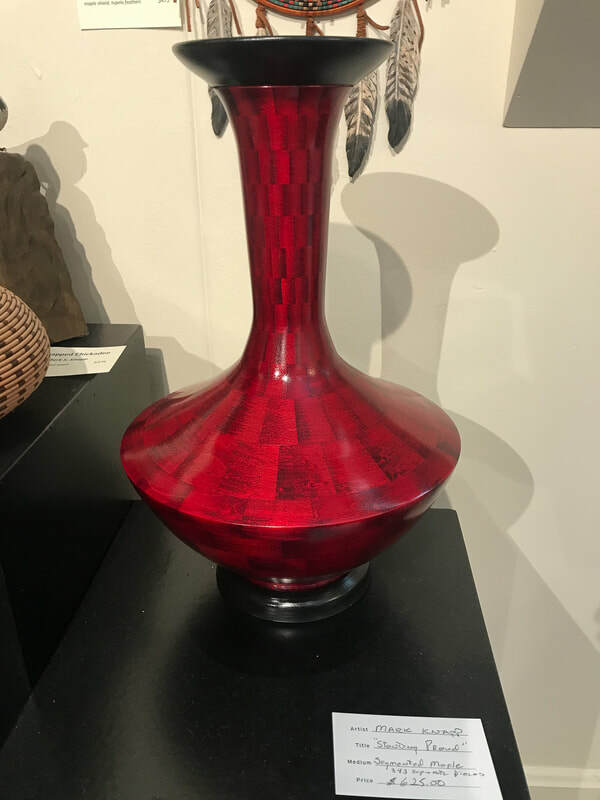 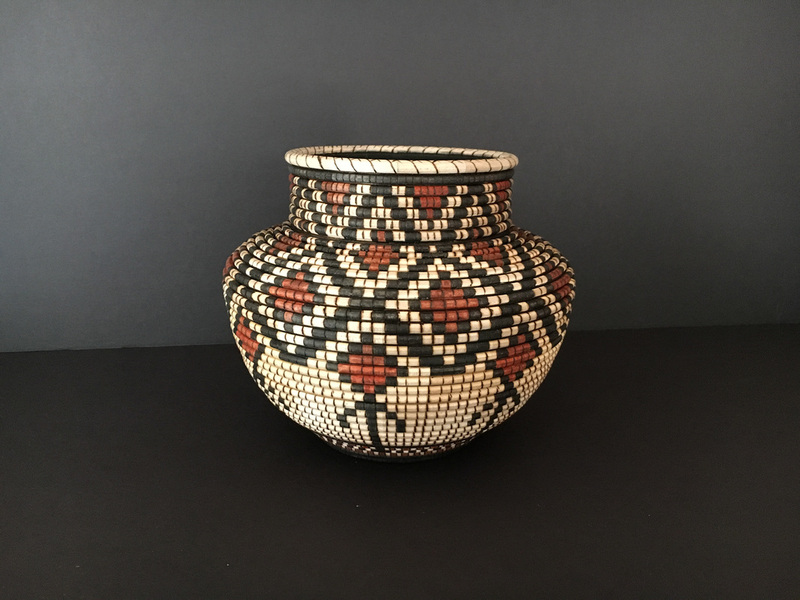 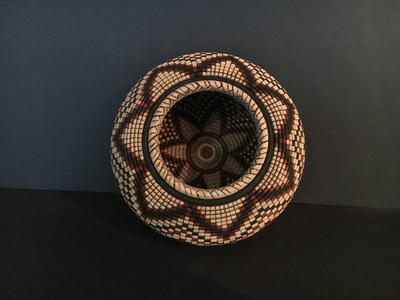 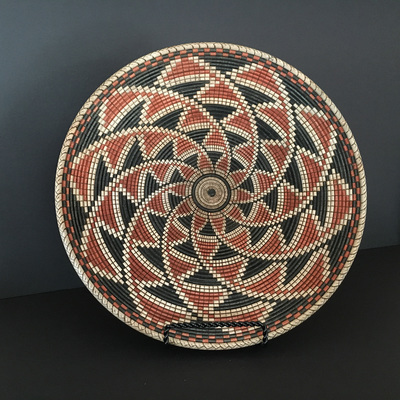 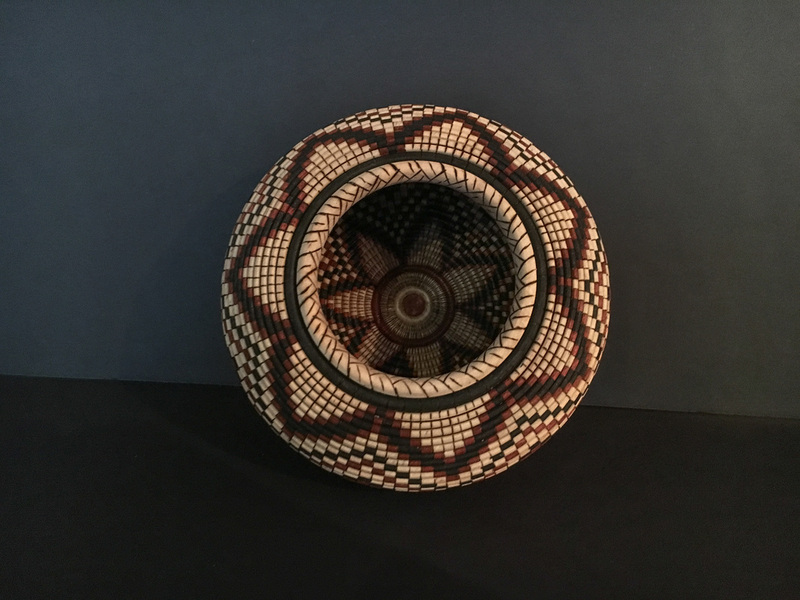 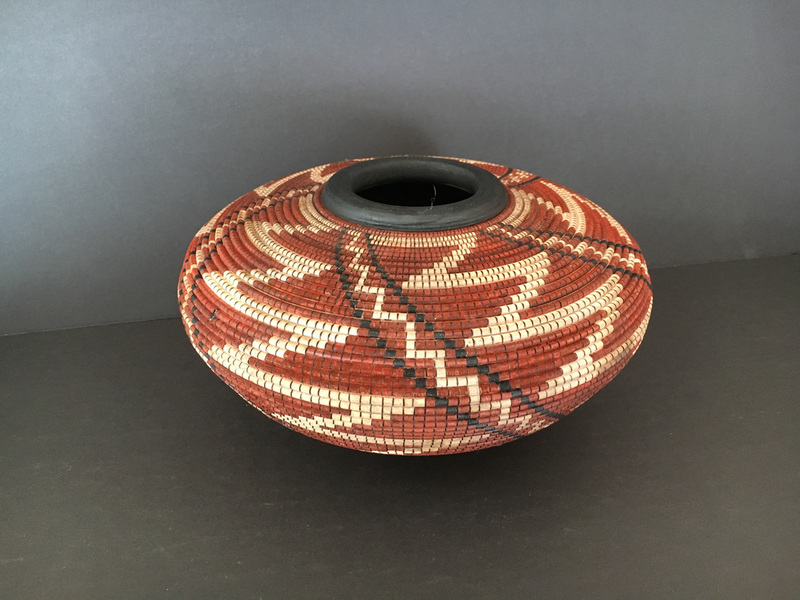 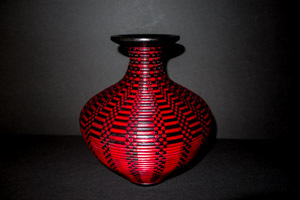 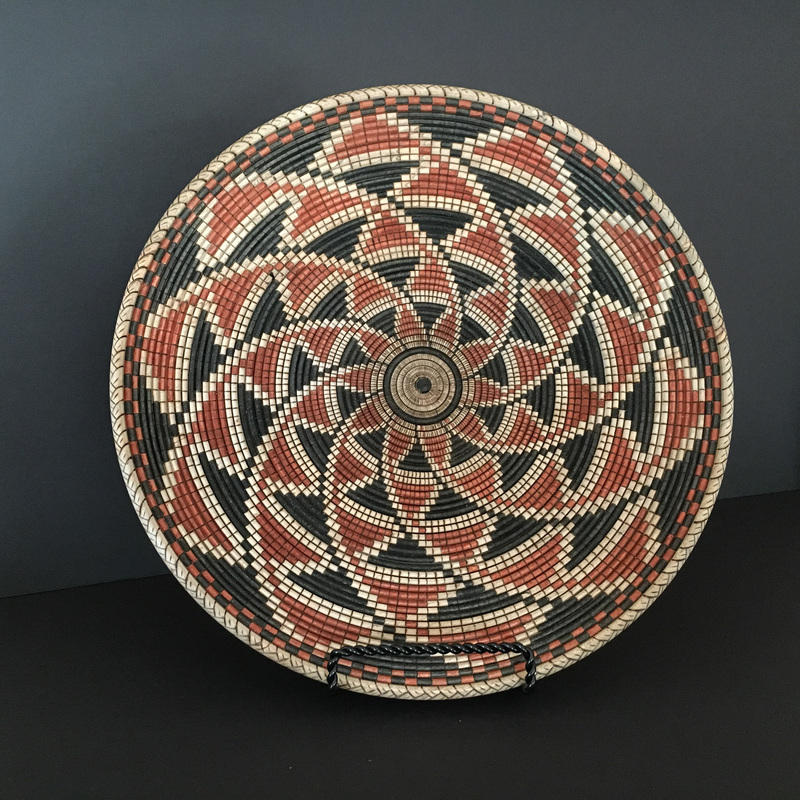 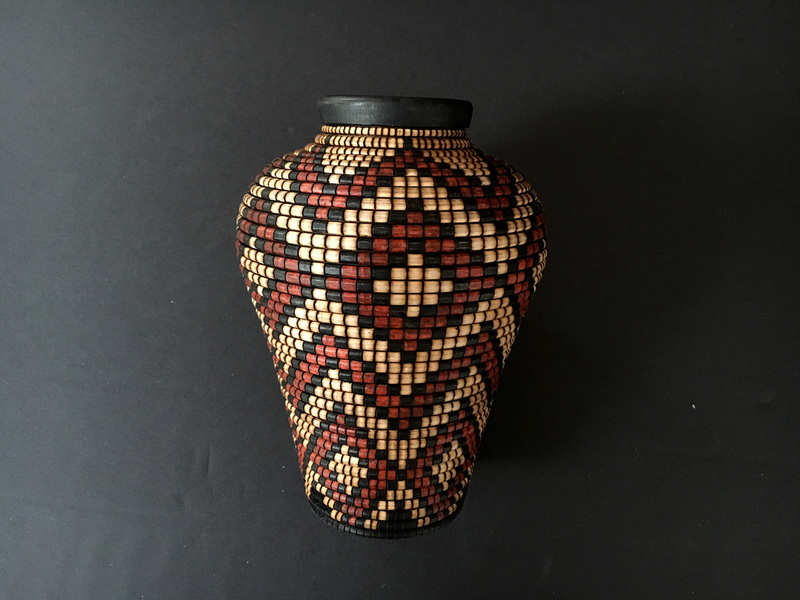 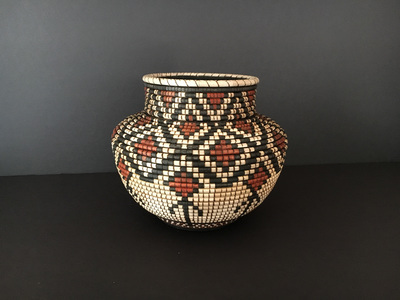 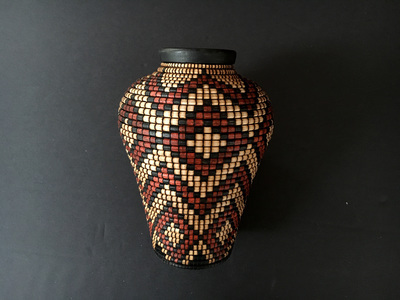 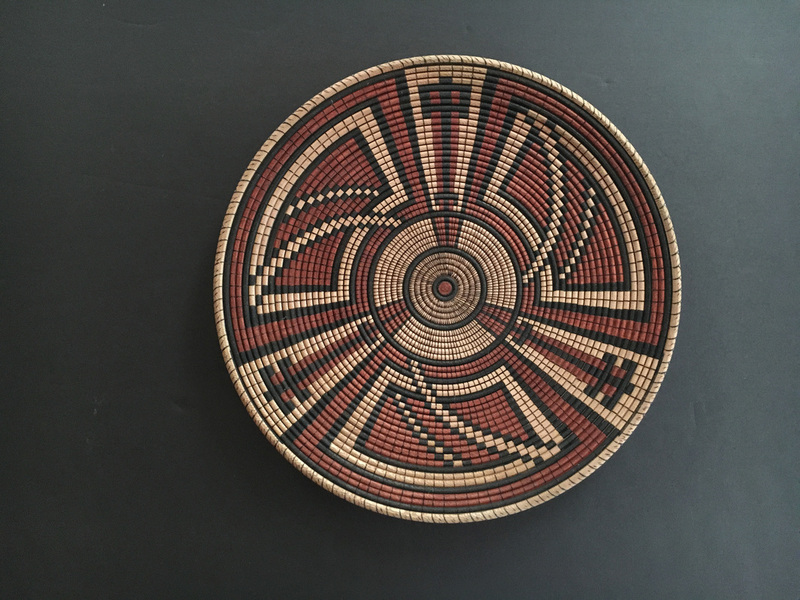 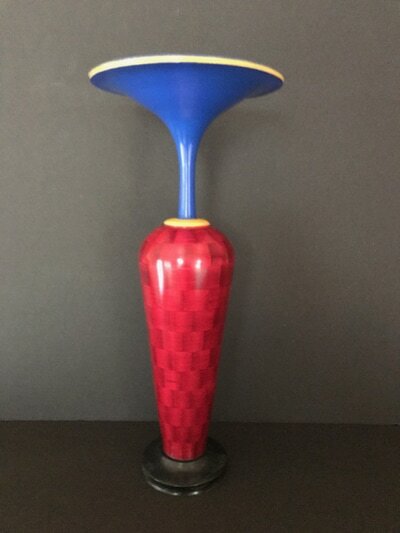 Indian Basket Weave Illusion - SOLD! 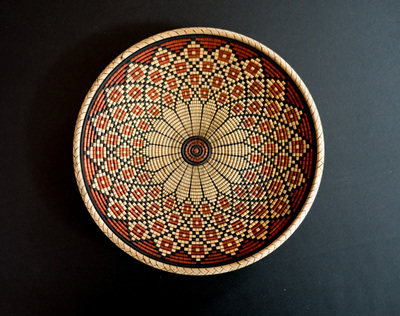 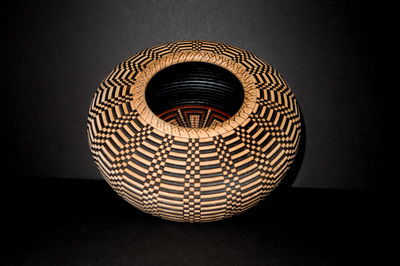 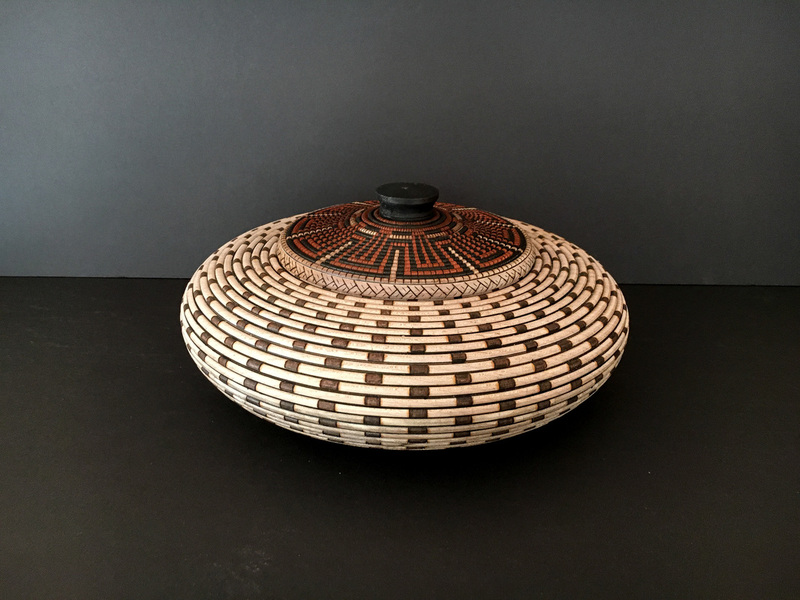 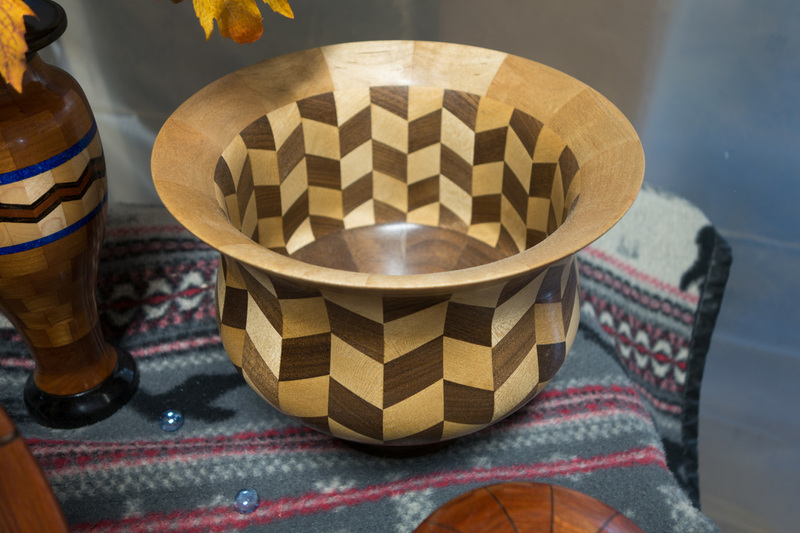 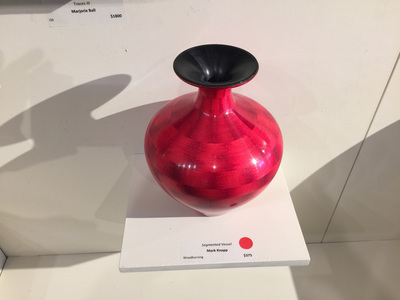 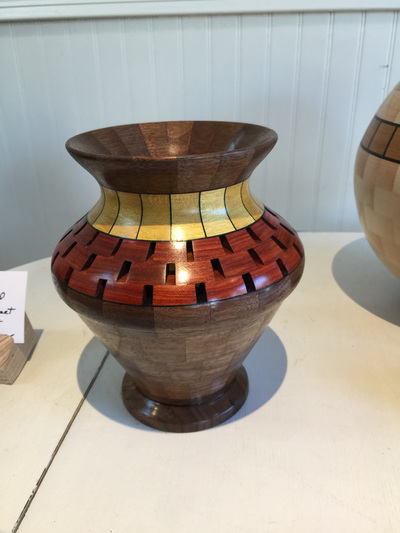 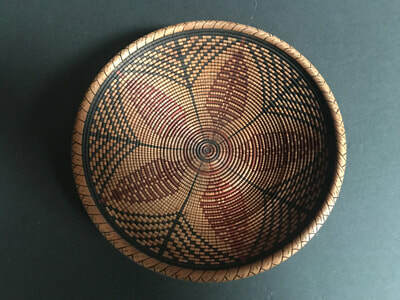 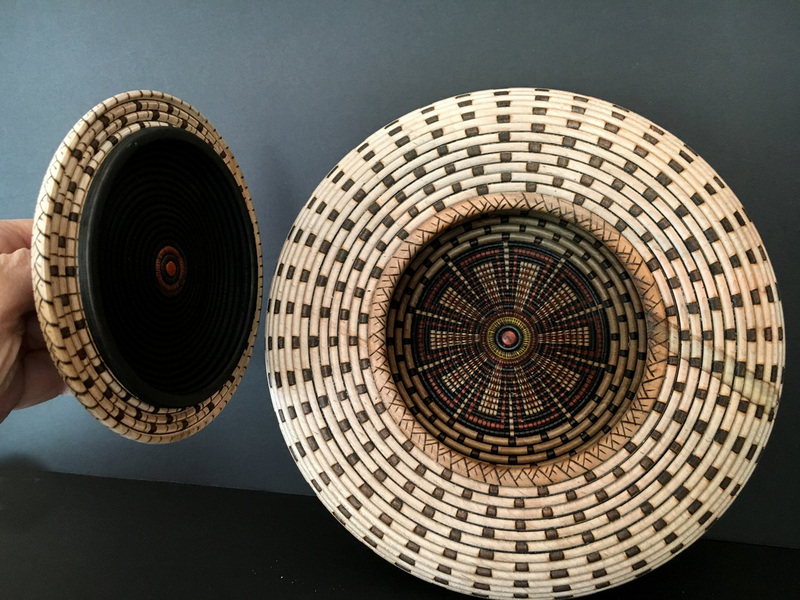 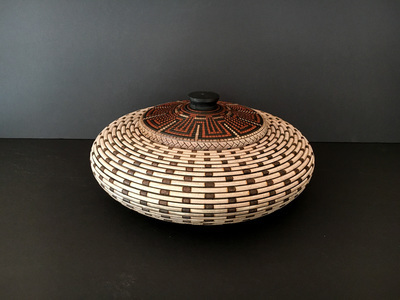 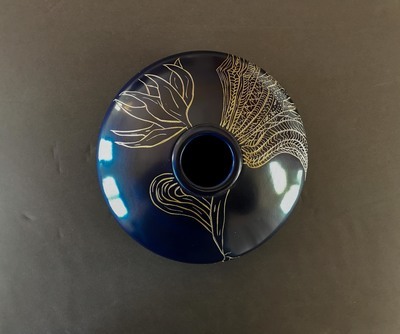 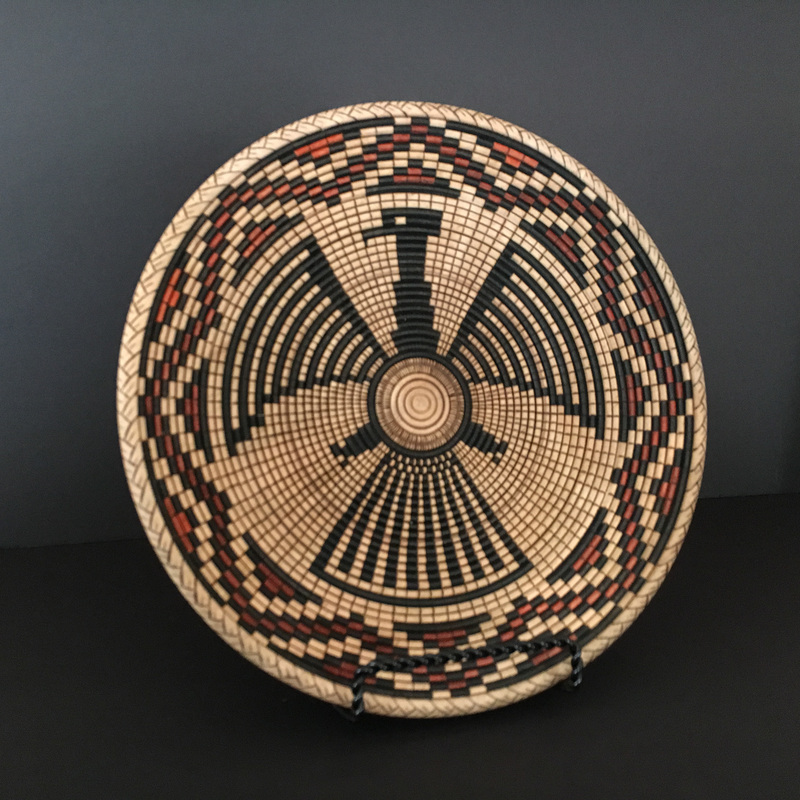 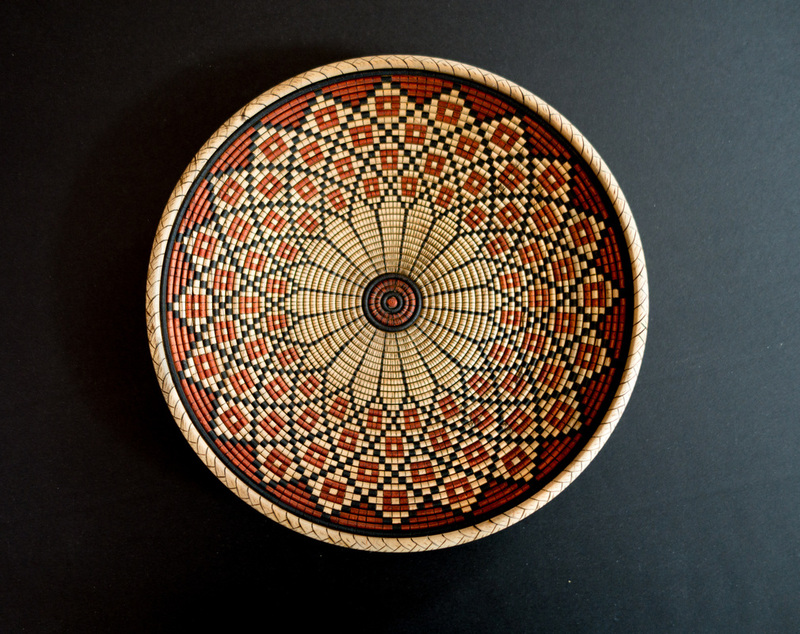 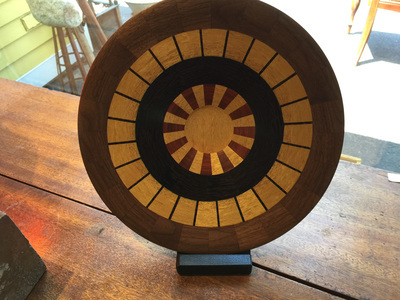 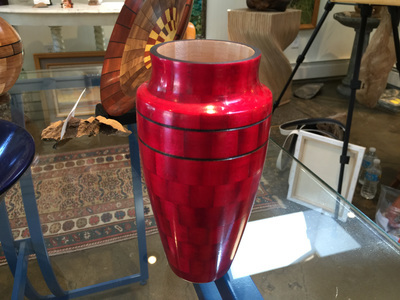 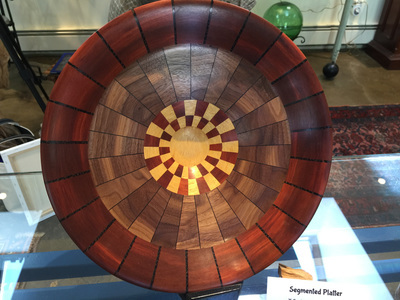 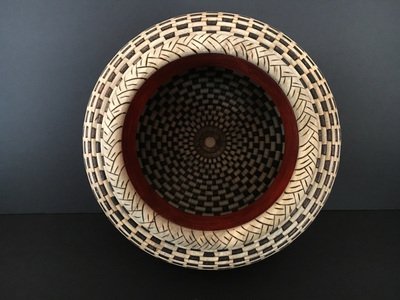 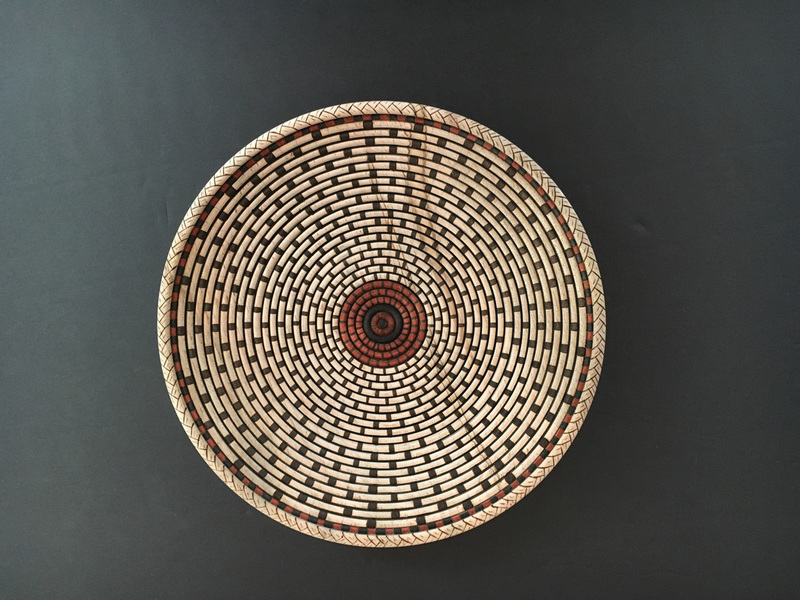 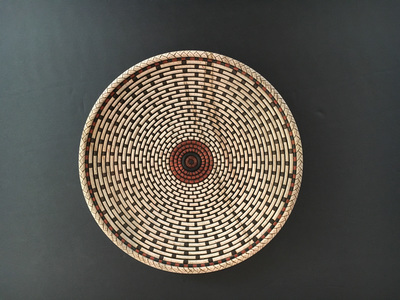 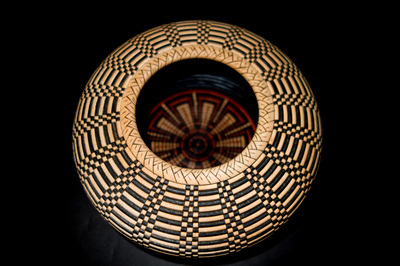 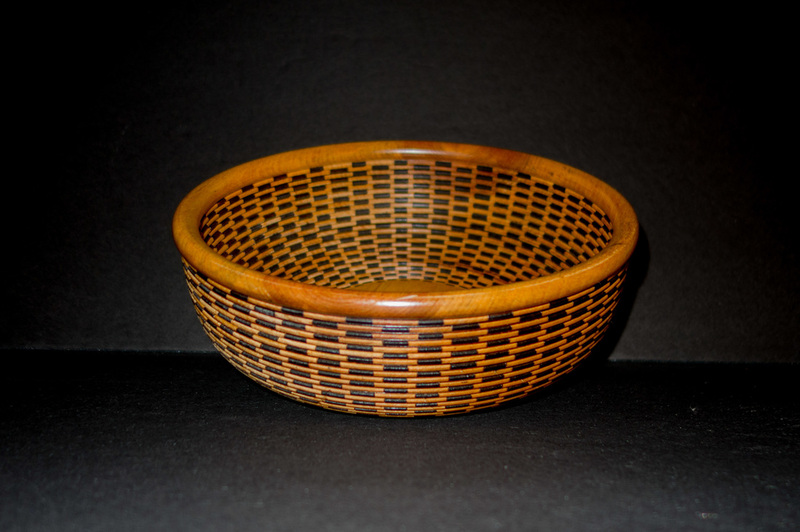 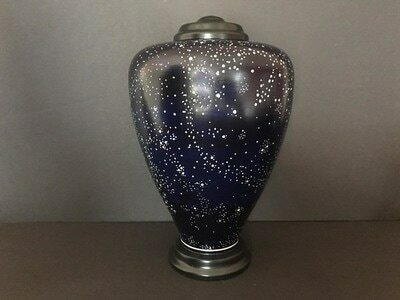 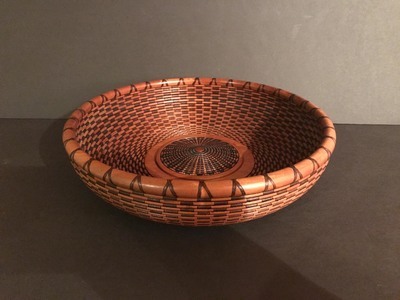 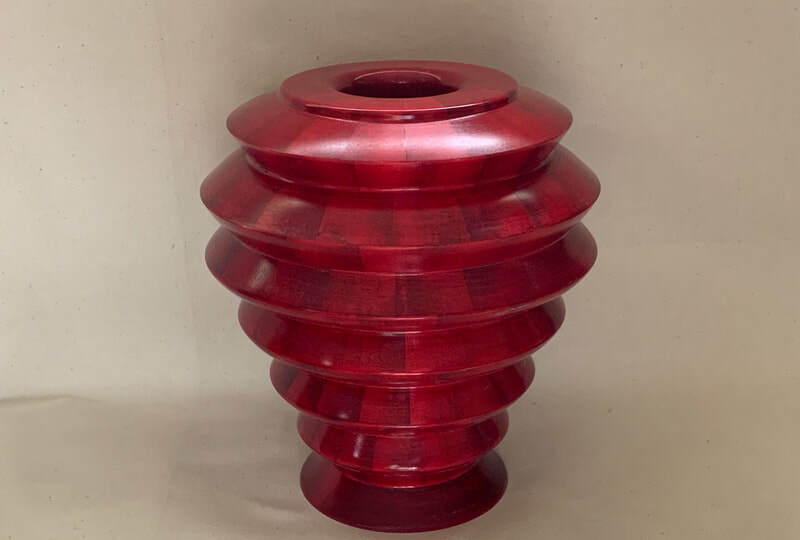 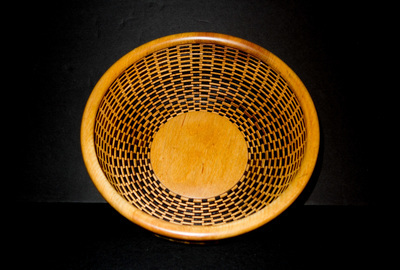 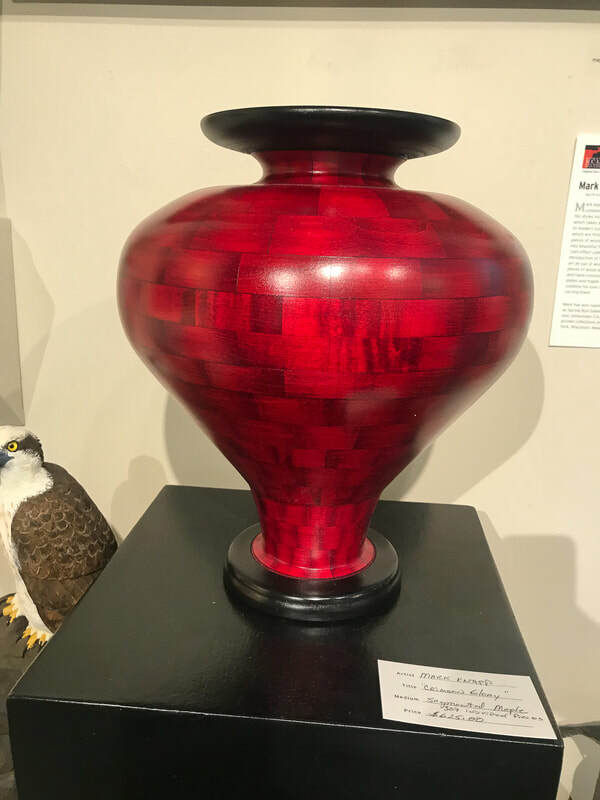 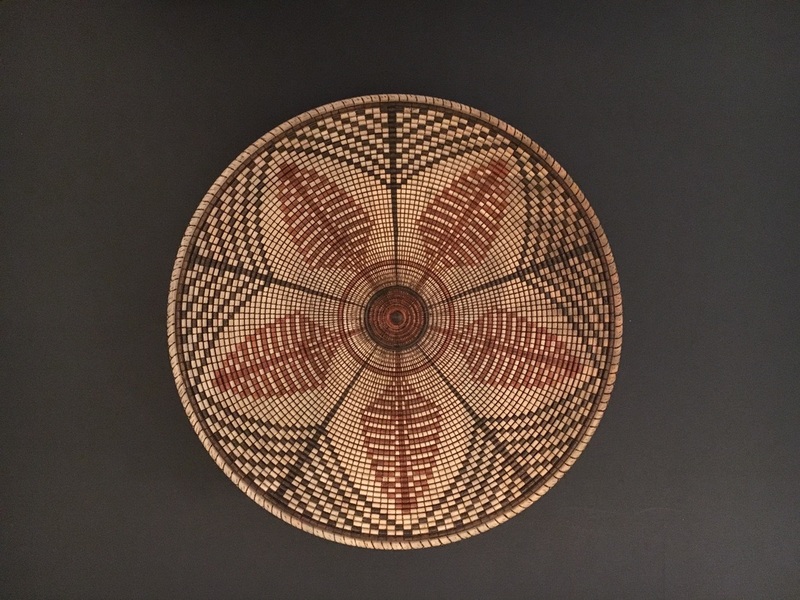 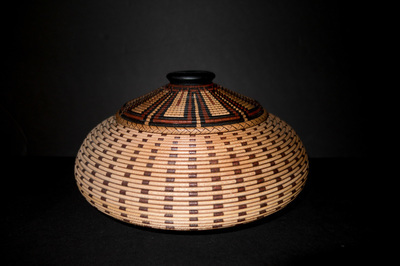 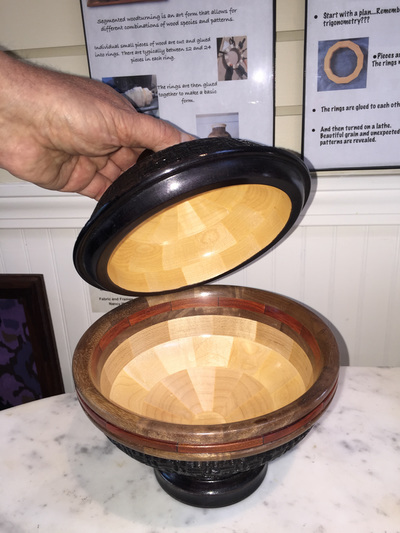 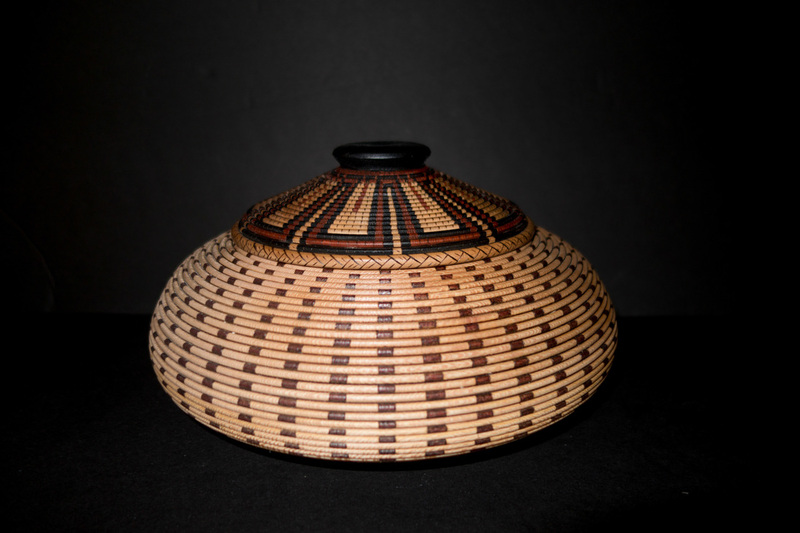 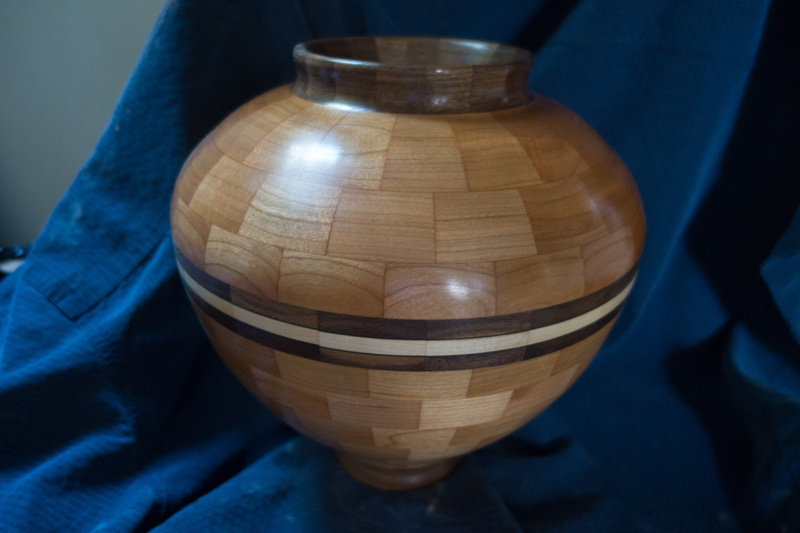 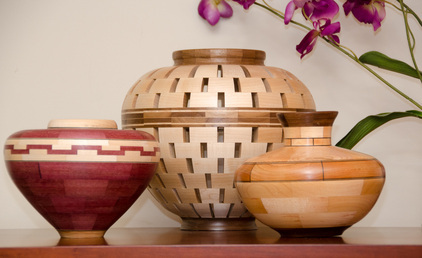 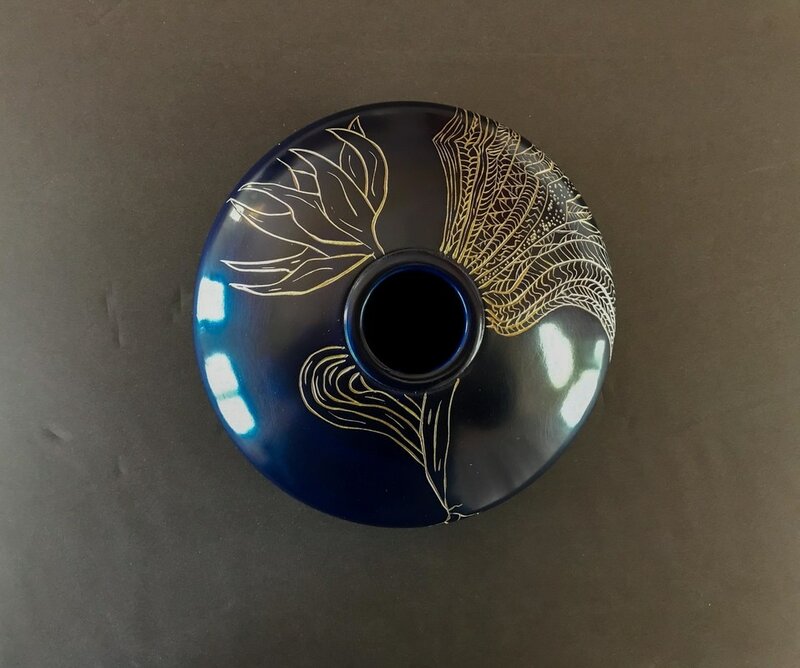 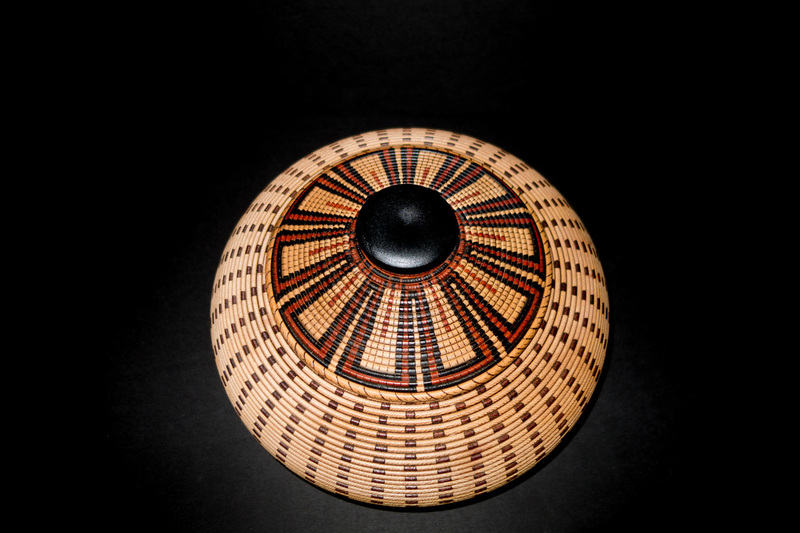 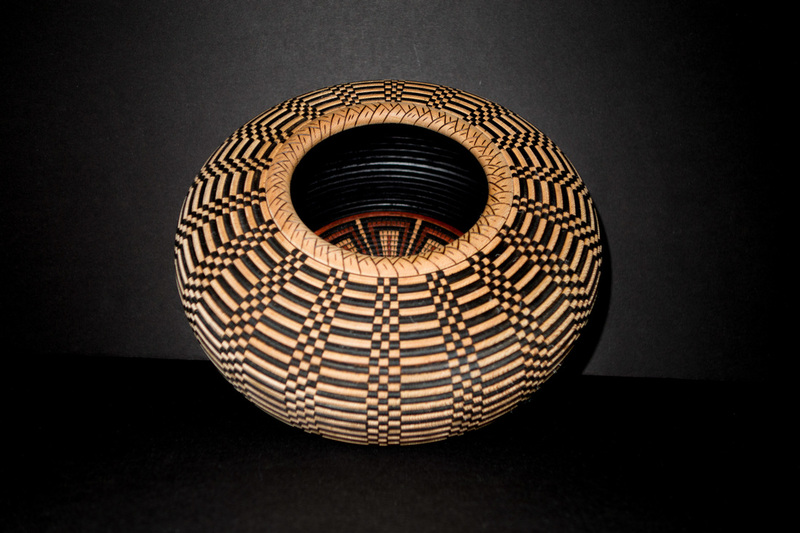 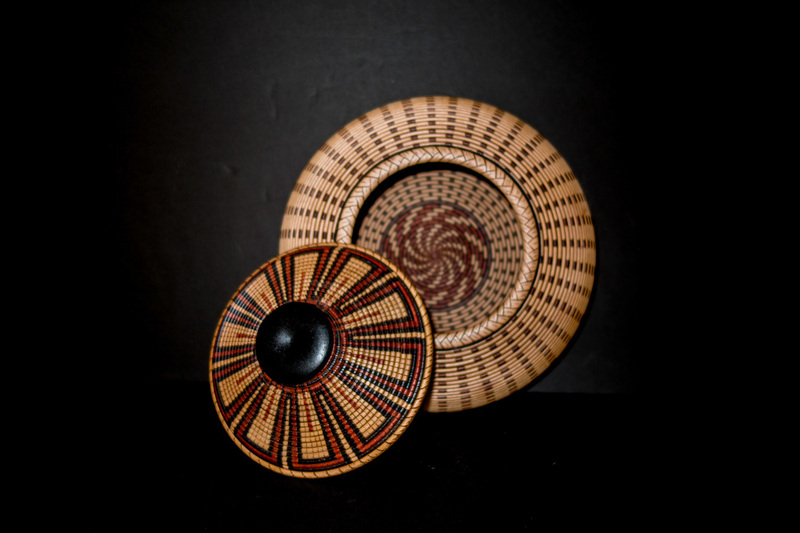 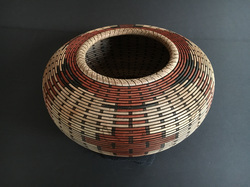 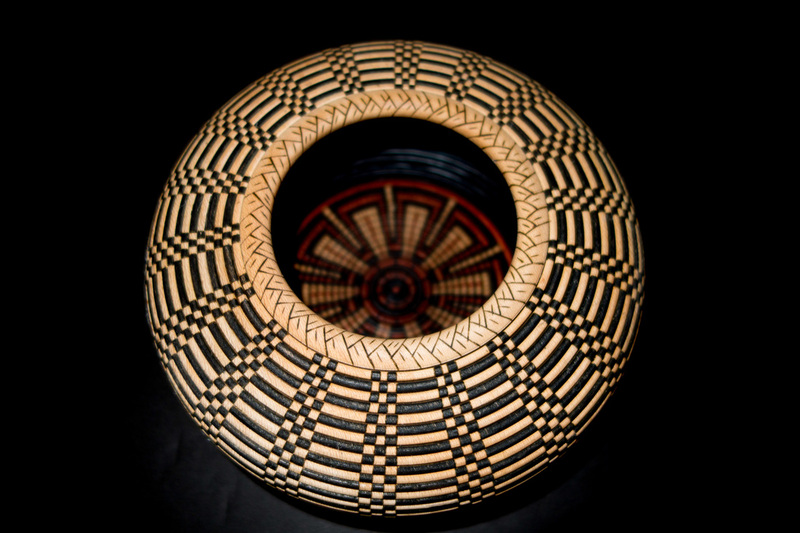 Below is an "open" segmented basket.